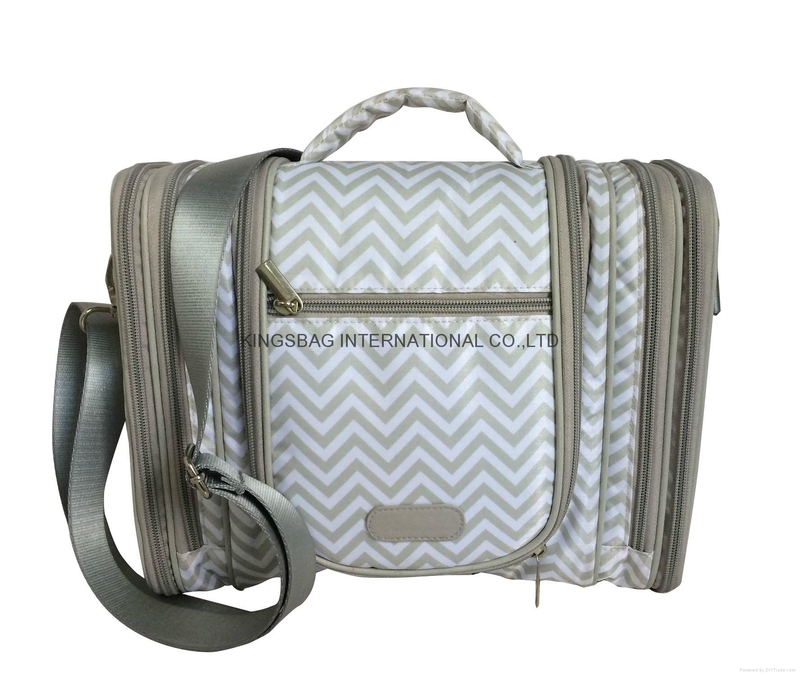 Polyester weave prints large unisex travel toiletry bag with adjustable strap. Polyester weave prints large unisex travel toiletry bag with adjustable strap.China Bag manufacturer produce high quality mens' travel portable toiletry bag shoulder toiletry bag for travelling.Two zipper pockets on the side, 1 zipper pocket on the flap, bag with portable short handles and pp webbing adjustable strap. 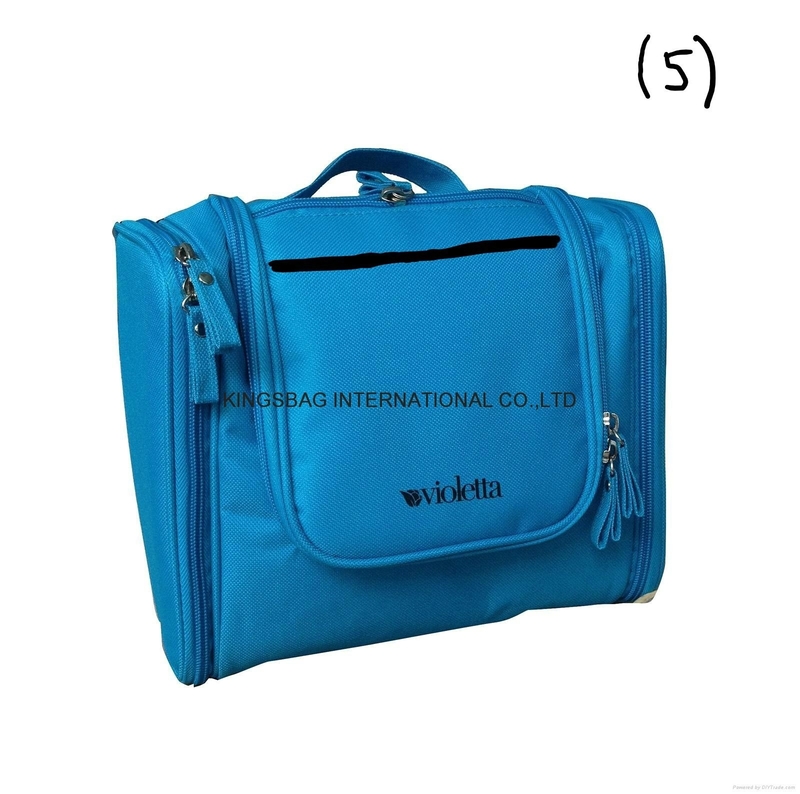 Portable hanging multifunctional toiletry wash bag blue colour polyester..Multifunctional polyester with 2 side zipper pockets and 1 main pocket on front, inside is mesh pocket and hook. Durable men's jute hanging toiletry wash bag beige colour with metal hook at inside top,1 zipper pocket on the flap, inside 2 mesh pockets and 1 main zipper pockets to hold necessary makeup or cosmetic bags. 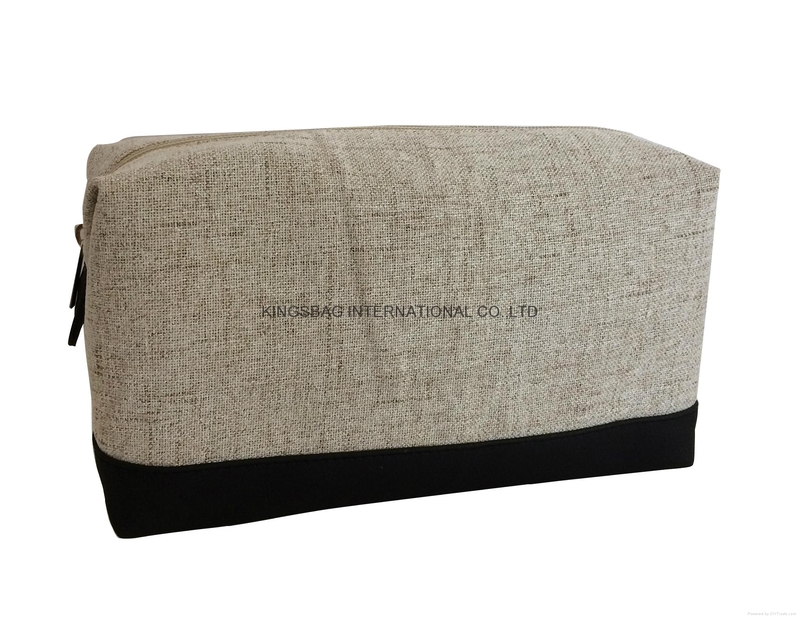 Jute/woven PU combination men's toiltery wash bag,men's makeup bag beige and black colour.Durable jute men's toiletry makeup bags beige colour. Snow Cloth(Polyester)grey colour durable men's multifunctional toiletry makeup bags with black plastic hook at inside top. 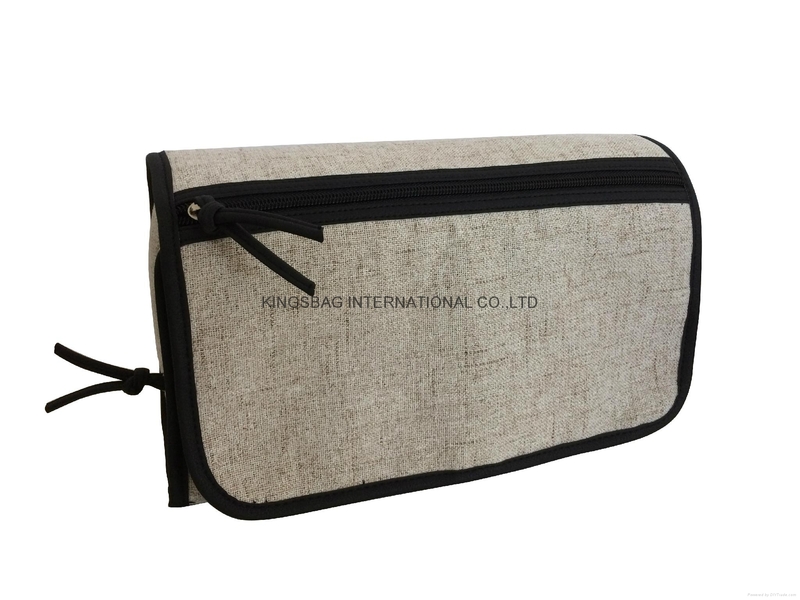 China manufacturer do Grey colour polyester men's travel toiletry wash bag with black plastic hook at inside top.Two zipper pockets at side folds, this toiletry wash bag can holder brushes, towels and many necessary things. 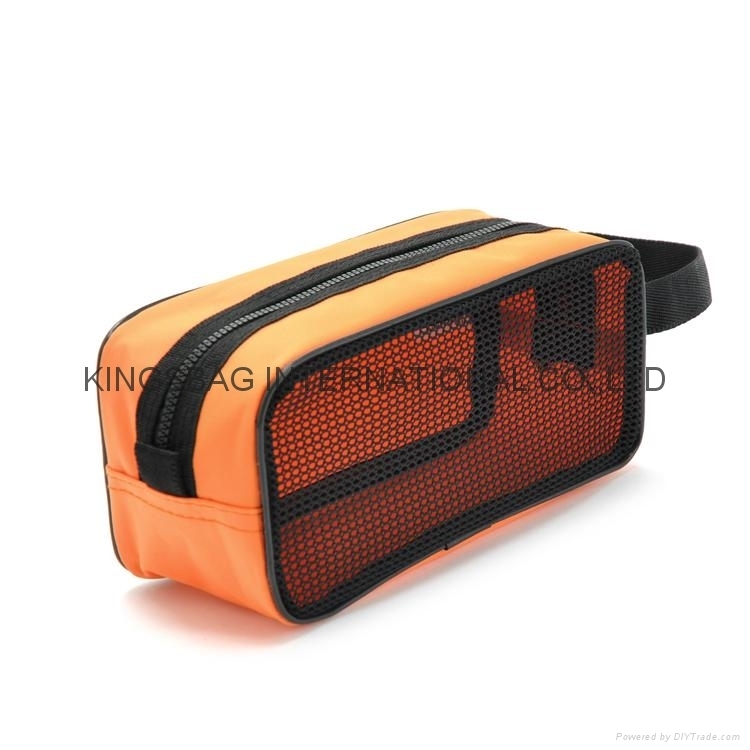 Two tone polyester/Mesh men's toiletry bag wash bag orange bag with short portable PP webbing handle. China made two tone men's toiletry bag orange&black colour.This kind bag can be used as tool bag as well. 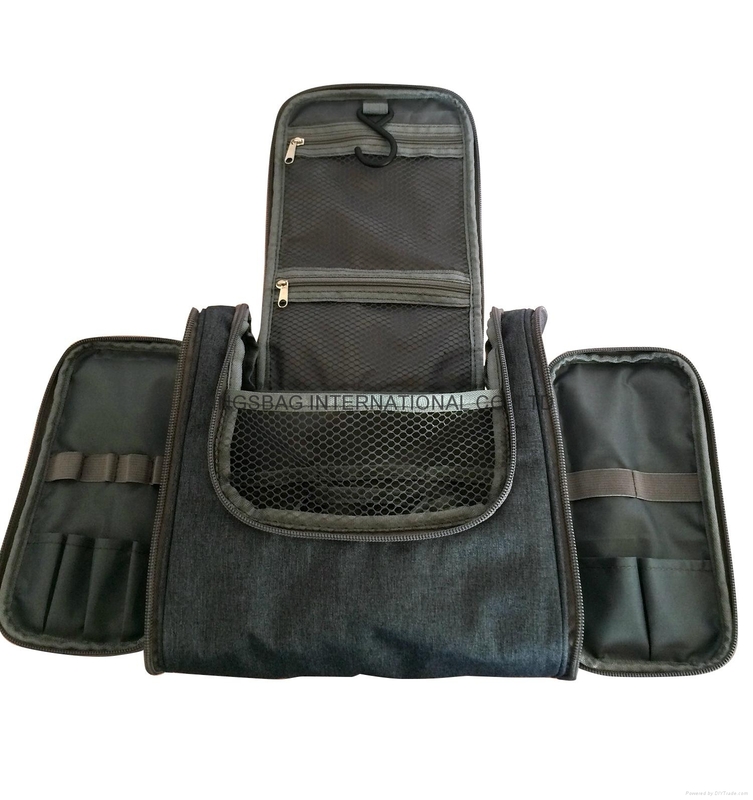 Mesh material on front , you can easy to see the thing and can easily to find them.Polyester is durable.So this kind of toiletry bag or tool bag can be used widely. Jute and Matt PU men's large toiletry bag, makeup bag beige colour. 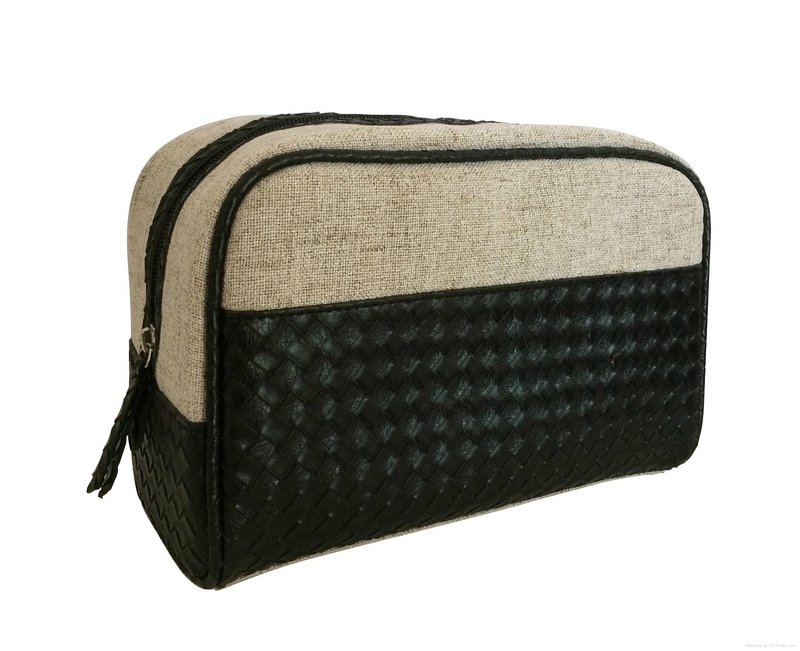 Beige/black men's large makeup bags toiletry bag PU&Jute made.High quality men's toiletry wash bag China supplier made. PU/Jute men's toiletry wash bags makeup bag beige colour with PU piping and PU band at top.